Sullivan County Manager Jessie Levine is retiring effective July 1, 2017. 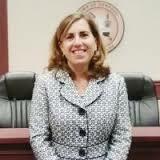 Levine has served as County Manager for the past three years. 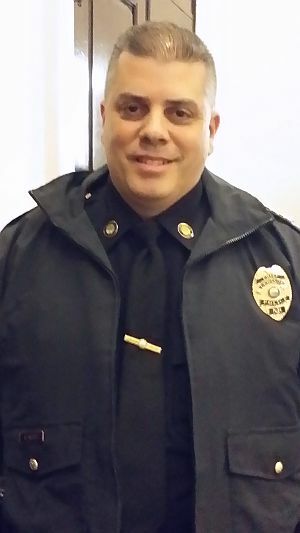 Jesse was hired on Jan. 15, 2014, replacing longtime manager Greg Chanis, who resigned to take a new job in California. Previously Levine served as the town manager for Bedford, and was also the town administrator in New London from 2000 to 2011. 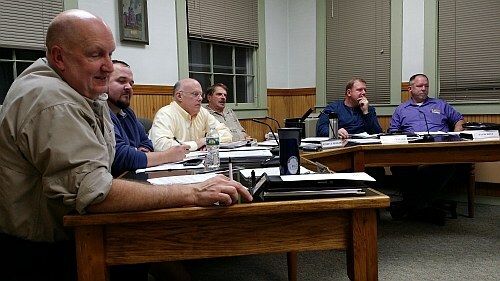 Levine also served as the Assistant Town Manager/HR Director for the Town of Hanover. Levine received the County Administrator of the Year in 2015. In May of 2015 the Town of New London named its round-about for Levine who was instrumental in its design. A search for Levine’s replacement has begun. This entry was posted in community, news, NH on November 25, 2016 by GrowingInArt. On Saturday December 10, 2016, the Lebanon Police Department will be in front of Walmart at 285 Plainfield Road in West Lebanon hosting a “Stuff A Truck” event from 9:00am to 5:00pm. All new, unwrapped toys donated will be given to the local Marine Toys for Tots campaign located at 27 Farmview Drive in White River Junction, Vermont. There is also a Toys for Tots donation box located in the police station lobby. 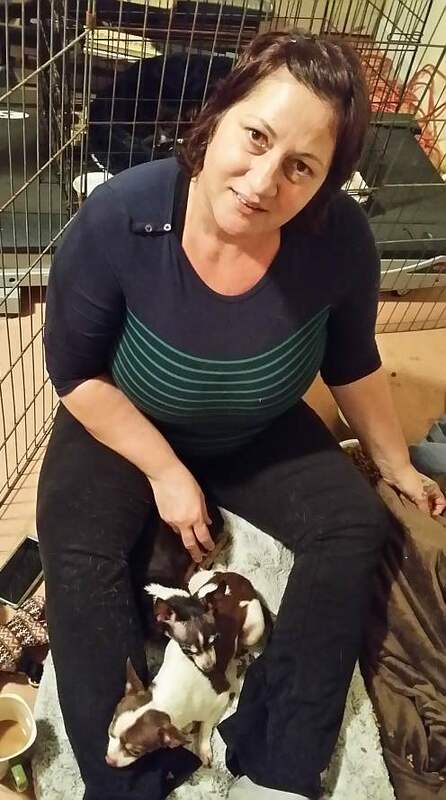 This entry was posted in community, news, NH, police on November 22, 2016 by GrowingInArt. 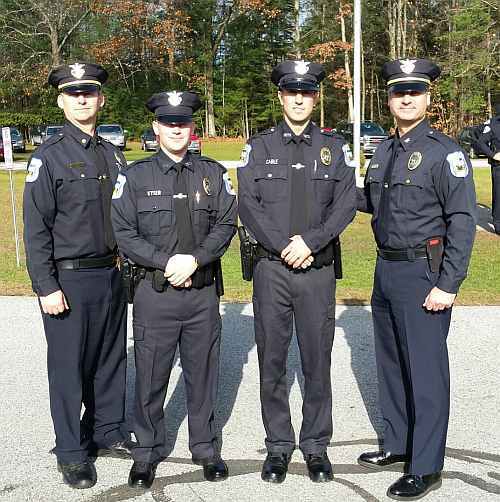 White River Junction, Windsor County, Vermont, November 18, 2016 —- Hartford Police Chief Phillip S. Kasten, the Hartford Town Manager and Selectboard are pleased to announce the graduation of two Hartford Officers from the Vermont Criminal Justice Training Council’s 102nd Basic Training Class of on Friday, November 18, 2016 at the Vermont Police Academy in Pittsford, Vermont. Oliver Keyser, age 28, has served with the Vermont National Guard since 2009, with recent active duty roles as a Support Analyst, and Non-Commissioned Officer (NCO) in Charge of Recruiting. He graduated from The Compass School in Westminster, Vermont during 2006. Mitchel Cable, age 31, is a 2004 graduate of Hartford High School. He holds a Bachelor of Arts Degree in History Education from Colby-Sawyer College. The son of a retired Vermont State Trooper, Cable previously worked for Transportation Security Administration (TSA) as a supervisory security officer. He has also served as a substitute teacher and referee with the Hartford & Lebanon School Districts. A full service law enforcement agency, the Hartford Police Department and its Police Officers, like all Vermont Police Departments, are bound by State Law to meet the training requirements and standards for police as established by the Vermont Criminal Justice Training Council. Through the council’s oversight, Vermont has established and mandated statewide compliance with minimum standards for the selection, training and certification of all police officers. It is during Basic Training that police officer candidates are required to successfully achieve and demonstrate proficiency with these professional standards. Today’s graduation ceremony signifies the conclusion of 16 continuous weeks, (640) hours of academic and practical law enforcement training, covering Criminal and Constitutional Law, Use of Defensive Tactics and Weapons, Arrest procedures, Emergency Vehicle Operations, Community/Problem Oriented Policing, Criminal and Traffic Collision Investigations. Following graduation, each of the police candidates will be paired with an experienced Hartford Police Officer for approximately sixteen weeks of Field Training. This entry was posted in community, police, vermont on November 19, 2016 by GrowingInArt. A Springfield VT man who was arrested in Oct for being a fugitive from justice will be extradited to NH. Jared Stockman 34, a construction worker waived extradition and agreed to face felony shoplifting charges in Lebanon. Lebanon Police Department issued the arrest warrants in August for 2 felony counts of shoplifting and attempted shoplifting. 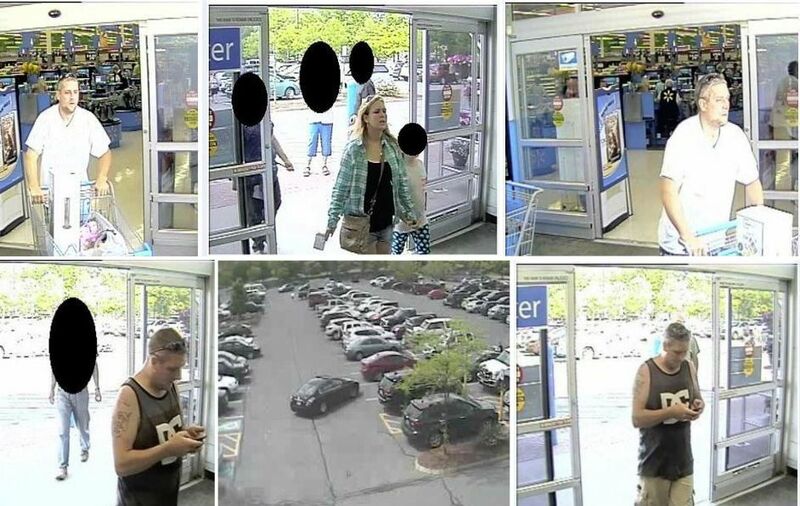 Stockman allegedly stole several hundred dollars’ worth of merchandise on May 28, and over $650.00 worth of goods on June 1 from the from the West Lebanon Walmart. The date of his hearing is not yet known. See related story here. This entry was posted in community, crime, news, NH, vermont on November 14, 2016 by GrowingInArt. This entry was posted in community, news on November 5, 2016 by GrowingInArt. On October 26, 2016, Chief Richard Mello received a donation of $18,000 for the purpose of purchasing body worn cameras for the department’s officers. 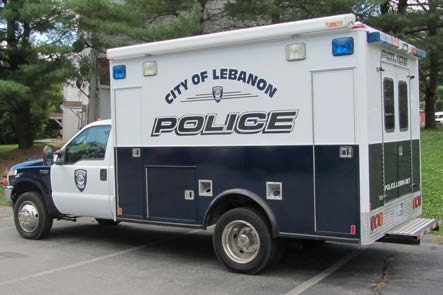 The Lebanon Police Department currently utilizes Panasonic’s Arbitrator 360 In-Car Camera System in all of its marked patrol cars. The Panasonic system has a camera mounted facing forward through the windshield of the patrol car, along with a camera mounted facing the back seat to record prisoners during transport. Currently, officers wear a wireless microphone to record audio while the in-car camera captures video. The drawback to this system has been that there is no video documentation of any incidents that take place out of the view of the camera mounted in the patrol car. The police department has been exploring the integration of body worn cameras into our current system but due to budget constraints, had delayed the program for future funding consideration. A recent news story highlighted our lack of body worn cameras, which prompted a City resident to step forward with a generous offer of assistance. This generous donation will allow the purchase of ten body worn cameras for Lebanon officers who are working uniformed patrol. This donation also funds the necessary accessories, hardware, installation, training and support required to integrate the body worn cameras into our current system. The ten cameras will be shared by the roughly 22 patrol officers that are assigned to the patrol division and any other officer who may be working a uniformed patrol assignment. This entry was posted in community, lebanon, news, NH, police on October 31, 2016 by GrowingInArt. 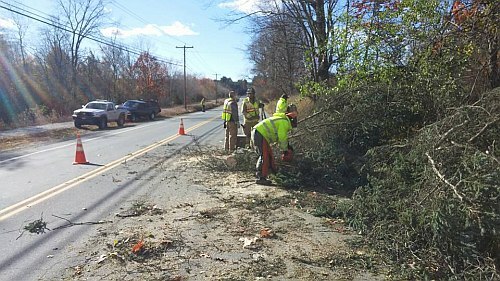 Sunday’s winds kept emergency workers around the Upper Valley area busy. In Grantham atree fell on Miller Pond road blocking the road, another fallen tree caused electrical wires to go down on Willow Brook Road in Meriden. Residents in Canaan had trouble on the West Bound Lane of Rt. 4 near Webster Farm where a large tree fell and blocked the road and the NHDOT was called. Hanover residents lost power when a tree fell on a power line on Blueberry Hill Drive and Residents in Newbury NH lost power also when a tree fell on wires on Chalk Pond Road near Blodgett’s Brook. No injuries were reported and most of the trees were cleared and wires repaired before evening. This entry was posted in community, news on October 24, 2016 by GrowingInArt. 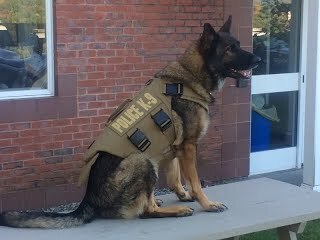 The Lebanon Police Department’s K9 Briggs has received a bullet and stab protective vest thanks to a charitable donation from non-profit organization Vested Interest in K9s, Inc. K9 Briggs’ vest is sponsored by an Anonymous Donor and embroidered with the sentiment “This gift of protection provided by Vested Interest in K9s, Inc”. This entry was posted in community, news, NH, police on October 22, 2016 by GrowingInArt. 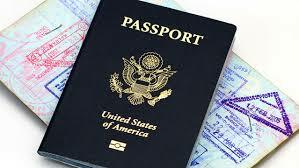 If you need a passport you may want to stop by the Brownsville VT Post Office on Saturday, Oct. 29. The Post Office will be opened from 8 am -2 pm to help make your international travel plans easier. According to the World Tourism Organization there is a 4 percent increase international travel this year. Just stop by the Brownsville Post Office at 1269 Route 44 between 8 a.m. and 2 p.m. on October 29, no appointment is necessary. Postal clerks can even take your passport photo if you do not have one. Brownsville Postmaster Scott Hammond says “With routine passport processing times of six weeks, it’s never too early to start planning for that out-of-country trip. And we’re here to help.” He cites USPS.com as an excellent resource for getting passport paperwork and locating other acceptance facilities across the nation. This entry was posted in community, news, vt on October 21, 2016 by GrowingInArt.